After traveling for a few weeks, I’m back in San Diego, and I’d like to discuss US energy policies. Currently, about 85% of our energy in the US comes from fossil fuels: coal, oil, and natural gas; a similar proportion of energy comes from fossil fuels worldwide. Most of the rest of the energy in the US comes from nuclear power, while only a negligible contribution is drawn from renewable sources. Energy consumption is continuing to grow (though not as rapidly during the economic recession), and this growing demand is primarily being supplied by fossil fuel production. While we’ve talked about the relation between energy policy and climate change in previous posts, note that it’s also related to water policy. With the current drought in the US, it’s critically important to reduce water consumption. However, conventional coal power plants consume massive amounts of water, while natural gas and nuclear power also require significant amounts. The best are wind turbines and solar panels, which require almost no water at all. Current fossil fuel-focused energy policies involve many contentious issues. For example, hydraulic fracturing or “fracking” technologies have made it possible to extract oil and gas from shale and other tight rock formations, but they involve blasting large amounts of water and chemicals into the ground and they create more environmental degradation, especially water and air pollution, than other energy sources. The extraction of oil from tar sands in Canada has also been criticized, and the Keystone pipeline, which would transport this oil through the US, has faced massive protests. In addition, the coal industry has advocated for so-called “clean coal” technologies, but these do not appear to be as clean or viable as they’re touted to be. decrease reliance on oil and gas and shift to cleaner renewable energy sources, especially wind and solar power. 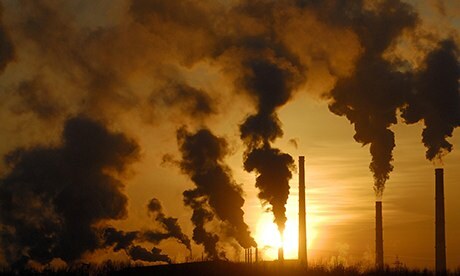 However, we also want to reduce carbon dioxide emissions as soon as possible (with larger reductions in the future) so as to minimize the effects of climate change. In order to build renewable energy infrastructure, energy will be required, raising questions about how we can achieve sustainable energy policies nationally and internationally without consuming too many fossil fuels in the process. These questions don’t have easy answers, but it does seem clear that in the short term, we should focus on energy efficient technologies and on making wind and solar energy economically competitive with fossil fuels.